How Does The Pool Party Guest List Work? After choosing your desired Las Vegas dayclub or event, fill out the simple form making sure to include the date, your contact information, and the number of people in your party. You will receive a confirmation email with directions on how to use the pool party guest list including check in location and time. On the day before your guest list date, you will receive a text reminder with the pertinent guestlist information. Still have questions? Check out our FAQs and Testimonials sections. Signing up for the guest lists is simple and free for the top dayclubs and pool parties in Las Vegas. You'll want to arrive at noon, or a little before for major events, to check in on the guest list. Not sure what to bring or how to prepare for the pool parties in Vegas? 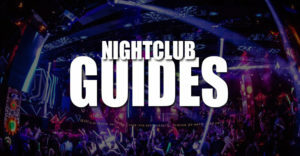 Check out our Tips For Las Vegas Dayclubs Guide. 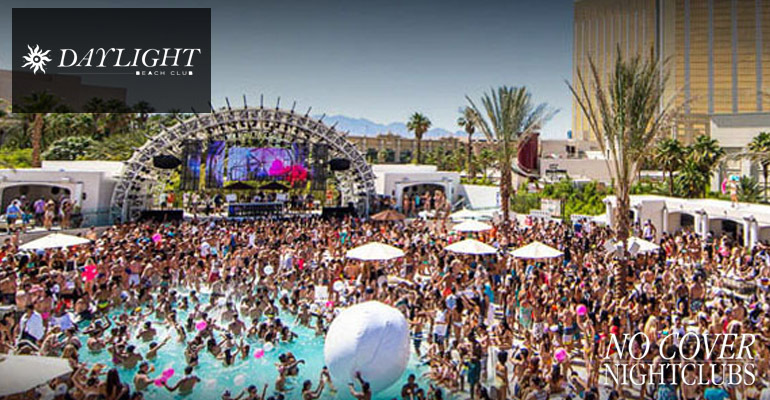 We are excited to offer free guest lists to the best dayclubs and pool parties in Las Vegas. 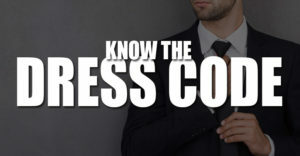 Signing up for the guest list is simple and takes less than 30 seconds. Many users have questions as they plan their trip with intentions to party at the pools. Check out our Tips For Las Vegas Dayclubs for answers to some of the most commonly asked questions including what to wear and what you can bring. Similar to the nightclubs the pools bring the world’s top DJ talent and live musical performances, and we’ve made the connections for you. On our lists you can skip the line and get in for free. While Vegas is known for its nightclubs, it is taken to a new level of fun with its dayclubs. Make sure you hit up both during your stay. The major hotels will each have their own dayclub options. If you’re not sure where to go we’ve got guest list options for a variety of them, and you can learn more about each one before singing up on the guest list. To enjoy the pool fun to the fullest we always recommend using our guest lists. Pick your desired dayclub and we do the rest. Plus the service is free. 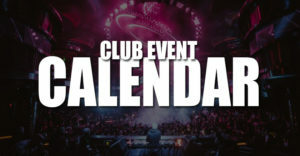 No Cover Nightclubs is your solution to get on the guest lists for the best pool parties in Las Vegas? Simply pick the venue you want and get on the guest list. You will receive a confirmation email outlining everything you need to know, and will get a text reminder as well. Still have questions? Check out our FAQs and Testimonials pages to learn more. We explain the entire guest list process and how to get into the Las Vegas dayclubs for free or with a discount. Don’t spend time waiting in line. We make the entire process VIP. 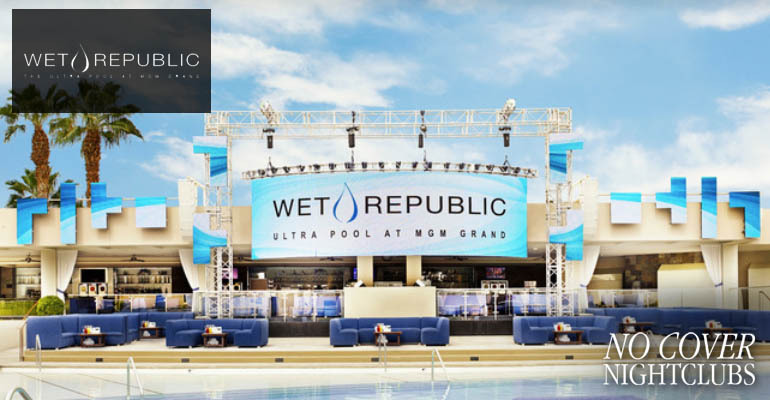 You’ll be inside the top Vegas pools dancing, socializing, and drinking the day away with your entire group. Party stress free, with free drinks, all for free. Don’t mess with free club passes, our guest lists actually work and have been used by thousands. 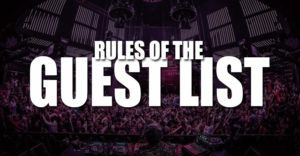 Our goal here at No Cover Nightclubs is to make sure getting you on the guest list is as simple and as easy as possible. We’ve learned how the system works from years of partying at the pools, and now we offer you the opportunity to do it for free, or with a discount for the men. Bachelor and bachelorette parties won’t want to miss the option of including a dayclub in their plans. We’ve helped thousands of groups save money and find the best places to party. We’ve been living it up each summer at the pools and want to share the same hookups. We’ve got the fastest system to help you skip the line and get into the pools for free or with reduced cover. Are you a Las Vegas local? We can cater to you as well. 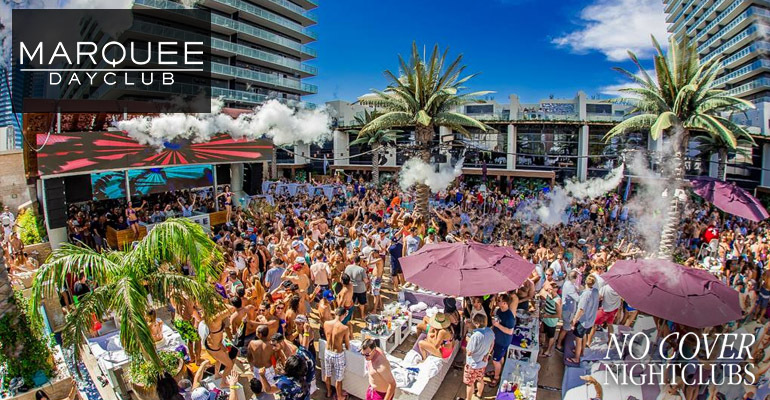 How Do The Dayclub Bottle Service & Cabanas Work? Groups looking for the VIP experience in the top Las Vegas dayclubs will be considering bottle service, cabanas, or daybed reservations. This type of reservation comes with your own specific areas to party the day away that also have the best locations in the venue that the general public do not have access to. Your entry is expedited, and you and your friends will be able to dance, relax, or do whatever you want with the benefits of having your own waitress, busser, and security staff. Contact a pool VIP host directly on our site for bottle service pricing, menus, availability, and reservations. Learn more about Las Vegas bottle service.